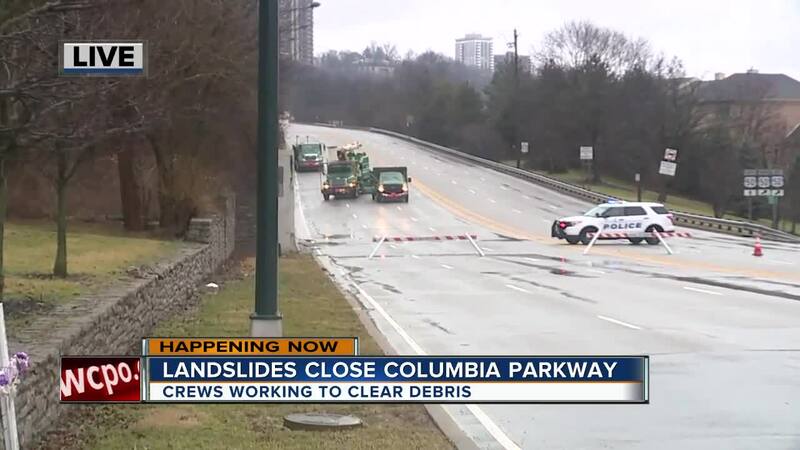 CINCINNATI -- A landslide closed Columbia Parkway in both directions Tuesday morning, according to Cincinnati police. It reopened after 6 p.m. 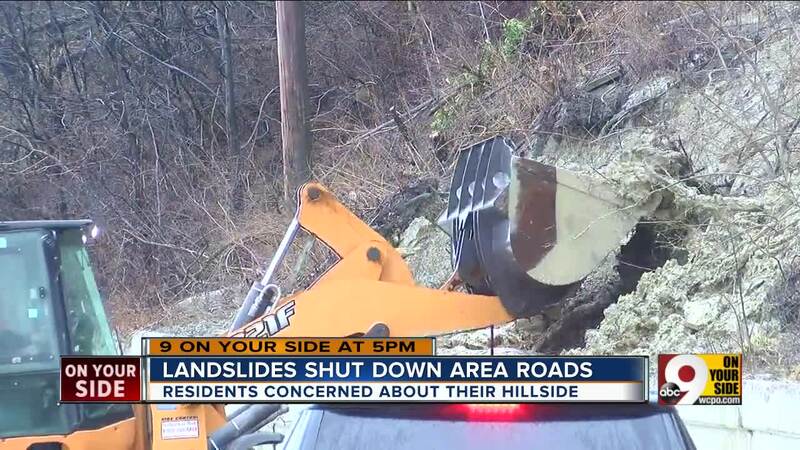 The road closure was widened to the area between William Howard Taft Road and Bains Street, police said, due to a second area of "earth instability." 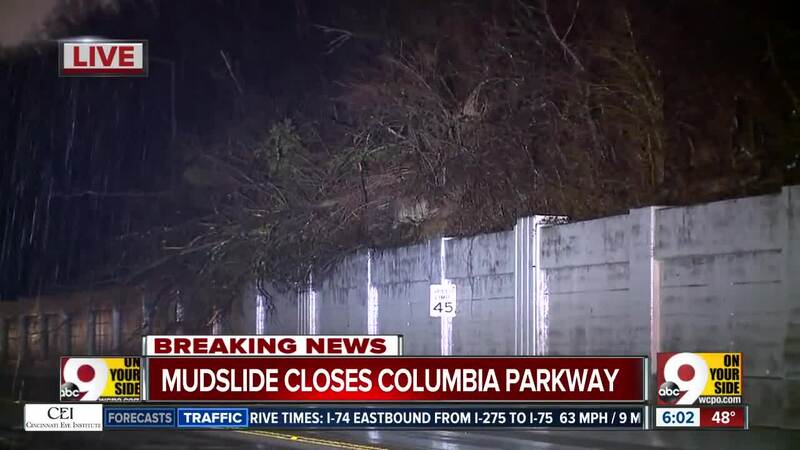 Columbia Parkway is also down to one lane east of William Howard Taft Road due to a third landslide.